This weekly Walmart Deals List prices and coupons are from one Walmart store and exact prices may vary. The Walmart Deals List is intended to be a guide, not a guarantee. Most Walmart stores accept coupons printed from the web but your individual store’s policy may vary. Be sure to print the ones you want as soon as you see them, almost all of them have a print limit and the higher value more popular coupons go fast. When an item costs less than the coupon value, Walmart deducts the entire coupon value and gives you the overage. Shop smart, shop with Coupon Terri. Walmart considers everything in their store a deal so the list can be quite lengthy. 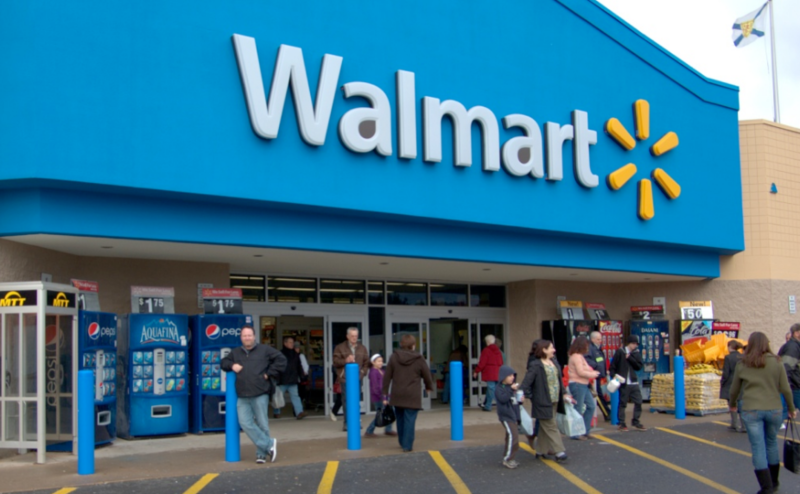 The list below covers the best deals at Walmart this week. Ibotta Cash Back offer is $1.98. Price from Walmart.com. Ibotta Cash Back offer is $1.00. Printable coupon is for $1.00. Price from Walmart.com. Printable coupon is for $2.00. Ibotta Cash Back offer is $2.00. Price from Walmart.com. Ibotta Cash Back offer is $3.00 – use 2. Ibotta Cash Back offer is $5.00 of 2. Estimated price. Ibotta Cash Back offer is $0.50 – use 5. Price from Walmart.com. Printable coupon is for $3.00. Ibotta Cash Back offer is $4.00. Price from Walmart.com. . Ibotta Cash Back offer is $1.75. Price from Walmart.com. Printable coupon is for $2.00. Price from Walmart.com. Ibotta Cash Back offer is $0.50. Price from Walmart.com. Ibotta Cash Back offer is $0.50 – use 5. Price from Walmart.com. Ibotta Cash Back offer is $1.50. Ibotta Cash Back offer is $1.00. Printable coupon is for $1.00. RedPlum offer is $0.75. Savingstar Cash Back is $0.75. Price from Walmart.com. Ibotta Cash Back offer is $1.75. Price from Walmart.com. Ibotta Cash Back offer is $1.25. Printable coupon is for $1.00. Price from Walmart.com. Ibotta Cash Back offer is $5.00 off 1 and 1 Fresh Deodorant – deal shows $2.50 off Spray. Price from Walmart.com. Ibotta Cash Back offer is $5.00 off 1 and 1 Clinical Deodorant – deal shows $2.50 off Freshies. Price from Walmart.com. Ibotta Cash Back offer is $5.00. Price from Walmart.com. Printable coupon is for $3.00. Price from Walmart.com. Printable coupon is for $4.00. Price from Walmart.com. Ibotta Cash Back offer is $2.15. Price from Walmart.com. Ibotta Cash Back offer is $2.00 on 2 Bai beverages AND Popchips. $2 savings shown here. Price from Walmart.com. Ibotta Cash Back offer is $1.50. Printable coupon is for $1.00. Price from Walmart.com. Ibotta Cash Back offer is $5.00 off 1 and 1 Invisible Spray – deal shows $2.50 off Deodorant. Price from Walmart.com. Ibotta Cash Back offer is $5.00 off 1 and 1 Clinical Deodorant – deal shows $2.50 off Wipes. Price from Walmart.com. Ibotta Cash Back offer is $5.00 off 1 and 1 Clinical Deodorant – deal shows $2.50 off Aluminum Free. Price from Walmart.com. Savingstar Cash Back is $1.00 off 2. Price from Walmart.com. Ibotta Cash Back offer is $1.50 – use 2. Price from Walmart.com. Ibotta Cash Back offer is $4.00 off 2. Ibotta Cash Back offer is $1.00. Printable coupon is for $0.75. Price from Walmart.com. Ibotta Cash Back offer is $1.00. Printable coupon is for $0.50. Ibotta Cash Back offer is $0.70. Price from Walmart.com. Ibotta Cash Back offer is $2.00. Coupon expires 3/9. Price from Walmart.com. Ibotta Cash Back offer is $1.00 off 2. Savingstar Cash Back is $0.75. Price from Walmart.com. Printable coupon is for $1.00. Ibotta Cash Back offer is $1.50. Ibotta Cash Back offer is $1.00 off 6. Savingstar Cash Back is $0.50 off 5. Price from Walmart.com. Ibotta Cash Back offer is $1.00 off Birthday Cake if included. Price from Walmart.com. Ibotta Cash Back offer is $4.00. Coupon is for buy 1 get 1 Razor free expiring 4/6. Price from Walmart.com. Ibotta Cash Back offer is $1.00 – use 2. Printable coupon is for $1.00 off 2. 04-14 R Starburst Fruit Chewy Candy, 14 oz. Ibotta Cash Back offer is $1.00 off 4. Price from Walmart.com. Savingstar Cash Back is $2.00. Savingstar Cash Back is $2.00. Price from Walmart.com. Ibotta Cash Back offer is $1.00 off 2. Printable coupon is for $1.50 off 2. Price from Walmart.com. Ibotta Cash Back offer is $2.00 off 2. Ibotta Cash Back offer is $2.00 off 2. Price from Walmart.com. Ibotta Cash Back offer is $0.50 – use 2. Price from Walmart.com. Printable coupon is for $1.00 off 2. Price from Walmart.com. Ibotta Cash Back offer is $1.25. Price from Walmart.com. Ibotta Cash Back offer is $1.00 off 4. Price from Walmart.com. Ibotta Cash Back offer is $0.75. Price from Walmart.com. Ibotta Cash Back offer is $5.00 off 1 and 1 Freshies – deal shows $2.50 off Clinical. Price from Walmart.com. Ibotta Cash Back offer is $0.50 – use 2. Savingstar Cash Back is $1.00 off 2. Price from Walmart.com. Ibotta Cash Back offer is $3.00 off 4 and 1 Poland Spring Sparkling Water 8 pk – $2.40 off Lean Cuisine shown. 03-31 S Nabisco Ritz Crisp & Thins Chips, 7.1 oz. Savingstar Cash Back is $0.75. Price from Walmart.com. Printable coupon is for $2.00 off when you spend $6. Buy 3. Price from Walmart.com. Printable coupon is for $2.00 off when you spend $6. Buy 5. Price from Walmart.com. Ibotta Cash Back offer is $1.30. Price from Walmart.com. Printable coupon is for $1.50 off 2. Price from Walmart.com. Printable coupon is for $2.00 off when you spend $6. Buy 6. Estimated price. Printable coupon is for $1.00. Price from Walmart.com. Printable coupon is for $2.00 of when you spend $6. Price from Walmart.com. Printable coupon is for $1.00 off 4. Savingstar Cash Back is $1.00 off 4. Price from Walmart.com. Ibotta Cash Back offer is $0.25 off Any Brand Bagged Candy. Price from Walmart.com. SmartSource offer is $3.00. Ibotta Cash Back offer is $2.00. Price from Walmart.com. Printable coupon is for $1.00. Price from Walmart.com. Printable coupon is for $3.00 off 2. Price from Walmart.com. Ibotta Cash Back offer is $0.50 – use 2. Coupon is for buy 2 get $1.50 off Milk.